McLaren Special Operations (MSO) has completed a unique new McLaren P1 GTR project to mark the 30th anniversary of Ayrton Senna’s maiden Formula 1 World Championship. 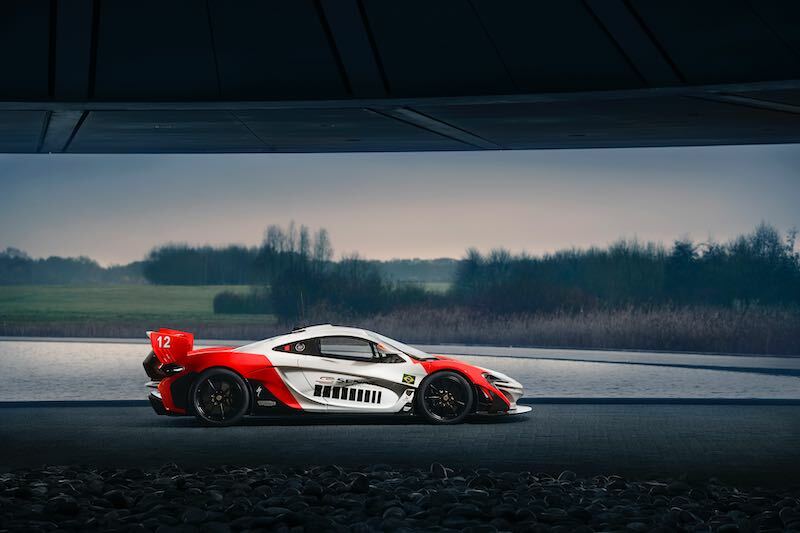 The McLaren P1 GTR is liveried in the iconic colours of then-sponsor Marlboro — synonymous with McLaren for more than 20 years — as they appeared on the MP4/4 that propelled Senna to the first of three F1 titles. 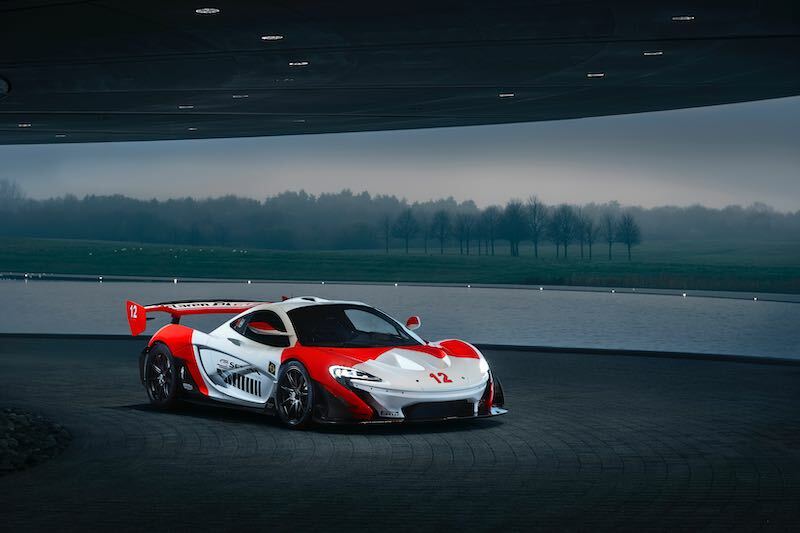 The car was commissioned by a McLaren collector who was inspired by Ayrton Senna from a young age and wanted to create a tribute that echoed the Brazilian’s perfectionism. Working in collaboration with the MSO team over the past three years the owner oversaw every detail of the project. Christened ‘Beco’ by the owner — with the full blessing of the Senna family, in honour of the nickname given to Ayrton by his parents — this car has a unique engine specification complemented by a 24ct gold heatshield, Lexan rear cover and modified engine bay shrouds. Working in combination with the electric motor in the McLaren P1 GTR’s hybrid powertrain, the result is – according to the owner – a ‘suitably pleasing’ increase in power. ‘Beco’ has also undergone several external modifications to make the most of the increased performance of the internal combustion engine. Requiring a full aerodynamic programme, new aero features increase downforce to the region of the 800kg. These additions include new front dive planes, a wider front splitter and at the rear a Gurney flap and new barge boards which better channel airflow along the sides of the car. 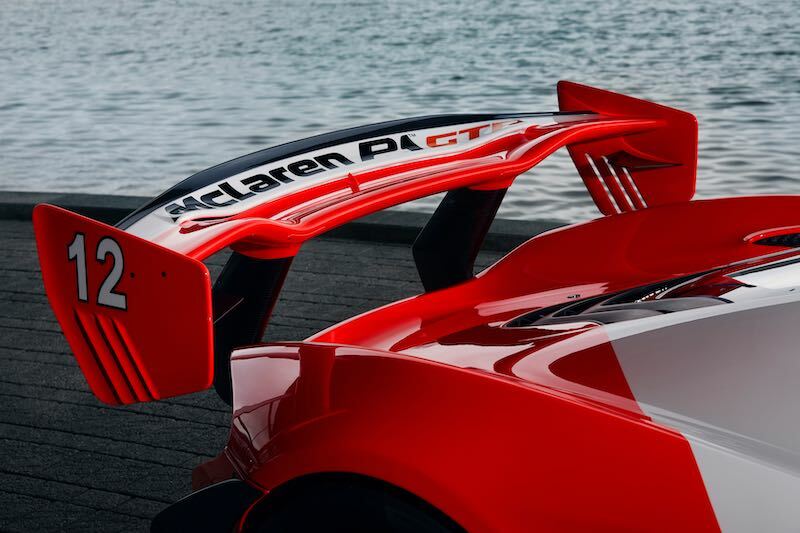 The rear wing also features bigger endplates than those on a standard McLaren P1 GTR wing — echoing the look of the MP4/4 wing. Additional downforce is generated by inboard secondary wing elements. 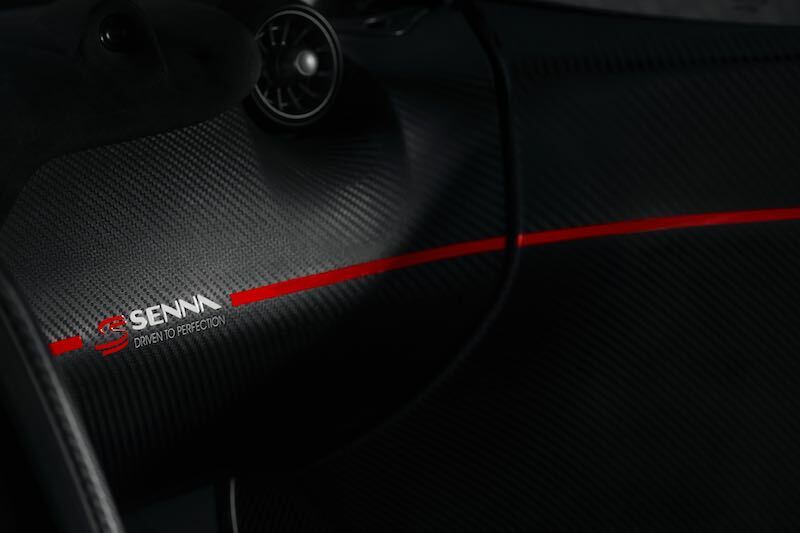 Upon entry a reproduction of Senna’s signature can be seen on the carbon fibre chassis sill accompanying one of his quotes. 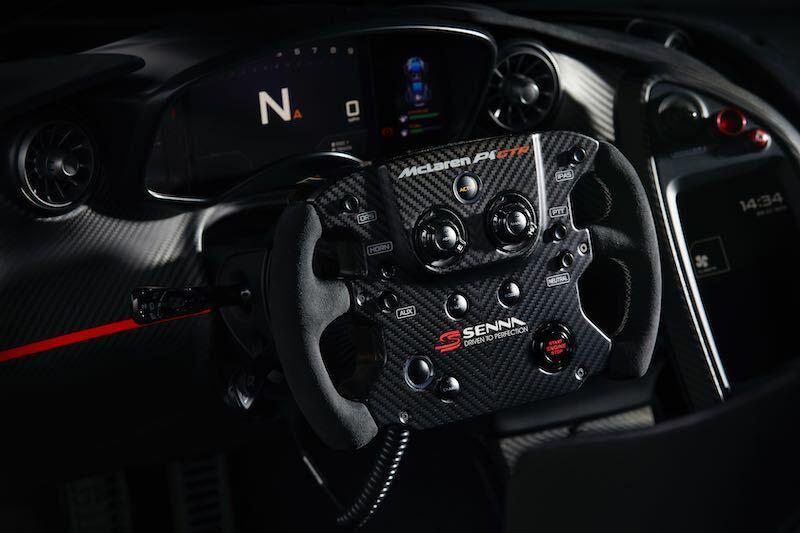 The multi-function McLaren P1 GTR steering wheel has been trimmed in Alcantara with stitching colour-matched to the wheel of the MP4/4. Alcantara has also been used for the facia cover panel. 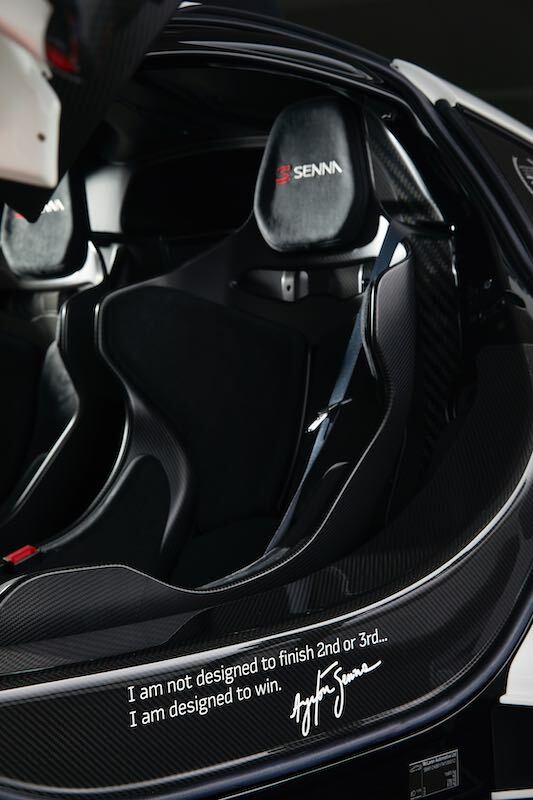 Senna branding on the steering wheel and passenger dash panel is accompanied with a thin red stripe running along the door panels and dash, whilst both driver and passenger sit on Super Lightweight Racing Seats developed for the McLaren Senna, contributing to a weight-reduction regime. MSO has also created a bespoke crash helmet to the customer’s commission, to complement the livery of the car. Beautiful car but a magnet to the California Highway Patrol.